This is a fake advert. 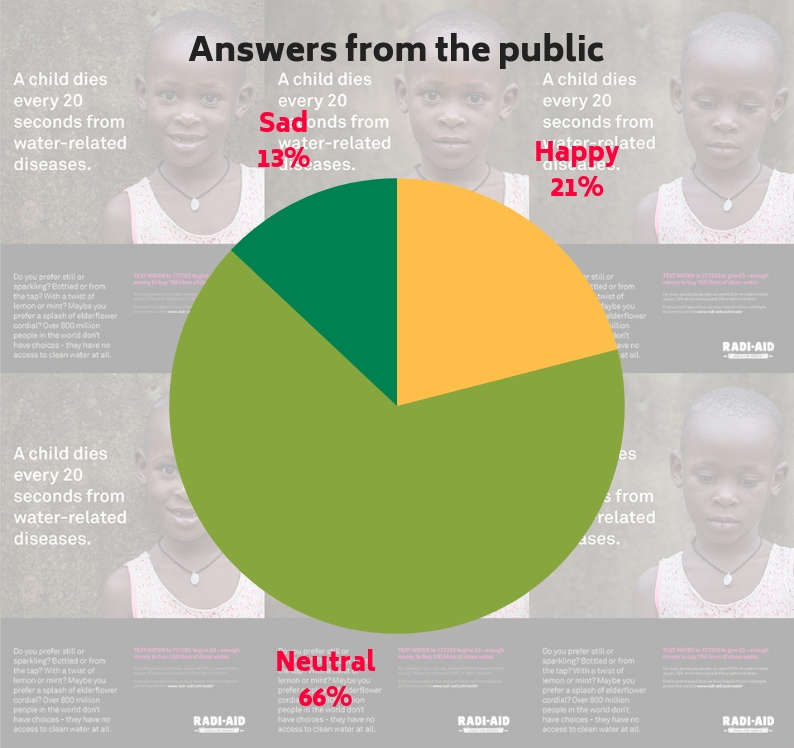 It was designed as part of our Radi-Aid Research study to ask our respondents which type of image they prefer to see in typical aid communication. Would they prefer a happy, neutral or sad image? These photos show 7 year old Katrina Nassali from Kampala, and they are taken by Edward Echwalu. The ads are designed by Click Design.